Lo and behold, on Wednesday, Nov. 29, they learned the TCM thrusters worked perfectly—and just as well as the attitude control thrusters. The plan going forward is to switch to the TCM thrusters in January. 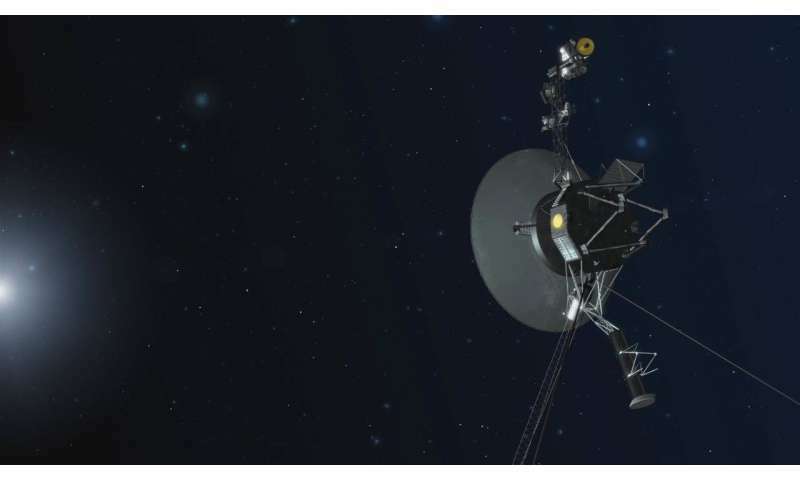 To make the change, Voyager has to turn on one heater per thruster, which requires power—a limited resource for the aging mission. When there is no longer enough power to operate the heaters, the team will switch back to the attitude control thrusters. Space is turning out to be a very friendly place... for machines. If there are other intelligent species out there we should expect that we run into their machines long before we run into them. That is, if they still exist at all. You know I was thinking, that it's life and the products of life that are so hard on machines here on earth. Oxygen atmosphere, mold, calcified water, microbes that digest seals and degrade lubricant. If an AI singularity does emerge it may want to establish itself elsewhere in the system and leave the earth to us. Maybe it will be nice enough to clean it up for us before it leaves. After all it was industrialization that made its emergence possible. The best place might be in the interior of the sun where it had the most unimpeded access to energy. Maybe there's one there already. Maybe it cleansed the 5th planet and then blew it up to hide it's origin. Aw that's just silly. AI gave us spellcheck to drive us crazy I think. Like I say, earth is hostile toward machines because of life and it's byproducts. The appear to do much better in the absence of it, as voyager and the mars rovers are indicating. And I was being a little facetious about the guilt trip. We might want to imbue it with a conscience for safety reasons. Wonder how they test those thrusters. (Very Carefully!) Seems like if things went Really Wrong (thruster sticks on), they could blow the mission by losing orientation. Went looking for more details on this test and the thrusters, but didn't find much amidst the noise created by this news. Sounds as if the attitude thrusters are just plain gas thrusters. The TCMs use hydrazine run over a heated catalyst, hence the power consumption when firing them.